Washington, DC, October 11, 2018 — The Legg Calve Perthes Foundation, in partnership with Dr. Harry Kim of the Texas Scottish Rite Hospital for Children and the University of Texas Southwestern Medical Center in Dallas, Texas has been selected to showcase preliminary laboratory results of this research at the 2018 National Organization of Rare Disorders (NORD) annual summit. On October 15-16th, the annual NORD Conference will boast over 700 attendees. “This is truly an honor to both become a NORD member and have our laboratory findings shared with NORD attendees in the same year,” said Dr. Harry Kim, MD. Kim and his research team consisting of Olumide Aruwajoye PhD; Thomas Wesley Mitchell; Michael Kutschke BS; Vishal Gokani BS; and Naga Suresh Adapala PhD surgically induced femoral head osteonecrosis in an experimental model of Legg–Calvé–Perthes Disease. For those unfamiliar, Perthes disease is a childhood hip disorder initiated by a disruption of blood flow to the ball of the femur called the femoral head. Due to the lack of blood flow, the bone dies (osteonecrosis or avascular necrosis) and stops growing. Perthes disease is one of the most common hip disorders in young children, occurring in roughly 5.5 of 100,000 children per year. Perthes disease usually occurs in children aged 4-10 years. Boys are affected about three to five times more often than girls. New cases of Perthes disease rarely occur after age of 14 years. There is no known cure today. Kim and his team previous found high levels of an inflammation producing protein called interleukin 6 in the hip joints of patients with Perthes disease. Based on this finding, their research hypothesis was that anti-interleukin 6 therapy would improve chronic hip synovitis and promote bone healing in an experimental model of Perthes disease. Dr. Kim is the Director of the Center for Excellence in Hip Disorders at the Texas Scottish Rite Hospital for Children. His commitment to returning children to their childhood is unfound, and has treated hundreds of Perthes Disease cases in children over the course of his 20-year career. Findings conducted from this study were positive and significant, as this is the first study to investigate the effects of anti-IL-6 therapy on femoral head osteonecrosis. The results indicated both a decrease in hip synovitis score and significant increase in bone rebuilding. “More funding is needed to continue these research efforts to cure Perthes disease, and the partnership with the Legg Calve Perthes Foundation will help pave the way,” said founder, Colleen Rathgeber. The Legg-Calve-Perthes Foundation is a national educational organization dedicated to helping adults and children living with Perthes, and providing support with the associated difficulties that often come with the Perthes diagnosis. 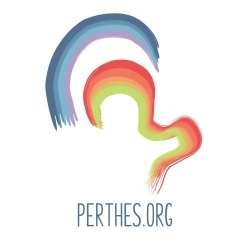 The Foundation’s mission is to create a centralized support community to improve the research, education, and awareness of those diagnosed with Perthes.